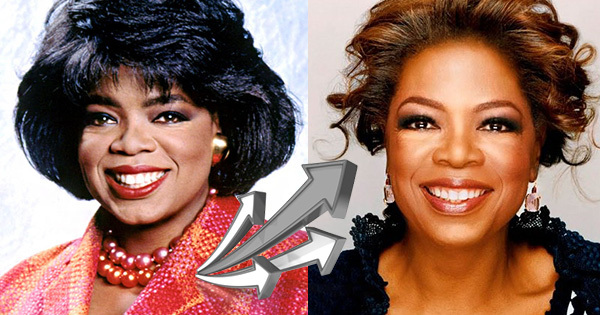 Oprah Winfrey Had Long Been a Millionaire, But This is What Made Her a Multi-Billionaire! but she realized that she could really start taking things to the next level. In 1993, she formed a new division of her company in Los Angeles called Harpo Films, which quickly became an active supplier of several hit motion pictures. This division also began developing and producing award-winning features, and long-form television programs, such as the Oprah Winfrey Presents telefilms, Oprah Winfrey Presents: Mitch Albom's For One More Day, Their Eyes Were Watching God, and more for ABC. She later signed an exclusive deal to develop and produce scripted series, documentaries, and movies for HBO. In 2004, Oprah partnered with Hearst publishing to launch Harpo Print, the company that produces her very own magazine called O, The Oprah Magazine. The publication was an instant hit internationally, and quick gained millions of subscribers and readers. Next in 2006, Oprah, launched Harpo Radio through an exclusive deal with Sirius XM Satellite Radio. Her station, Oprah Radio (later changed to Oprah and Friends), included regular appearance from her friends and colleagues including Gayle King, Dr. Robin Smith, Dr. Oz, Dr. Phil, Marianne Williamson, Bob Greene, Nate Berkus, and more. Together, they created regular programming on topics such as current events, self-improvement, health, nutrition, fitness and home. The idea was a huge success, and at one point, was credited for keeping Sirius XM afloat. Refocusing her energy back to her television production company, in 2011, Oprah launched her own channel called the Oprah Winfrey Network (OWN). And she immediately began producing several other daytime talk shows including The Gayle King Show, Our America with Lisa Ling, In The Bedroom with Dr. Laura Berman, Enough Already! with Peter Walsh, and The Rosie Show. She formed a partnership with filmmakers like Tyler Perry and Ava Duvernay, and started producing hit television shows like The Paynes, Love Thy Neighbor, The Have and Have Nots, Greenleaf and Queen Sugar. Several of her reality shows like Iyanla: Fix My Life! and Welcome to Sweetie Pie's also took off with raving reviews, and millions of weekly viewers. Starting off with just a hit daytime TV show and propelling herself into a media mogul is what clearly transformed Oprah from a millionaire into a multi-billionaire. Meanwhile, others who had successful talk shows in the 90's like Ricki Lake and Phil Donahue are not even household names any more!